Everything in your business is protected from burglary, vandalism, and intruders. This would be of particular importance for businesses that operate in crime-prone areas. It also secures your assets from unscrupulous employees by discouraging theft. Business alarm monitoring also secures your employees from any possible dangers that may occur in the day or night time, should they be working in teams or alone. You can gain more control over who in the office has access to what. 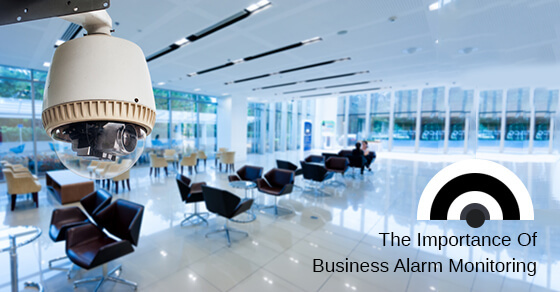 If there are certain parts of the building or office you do not wish for all (or any) employees to access, a business alarm monitoring system can help you gain more control. It can also help secure your business against employees who are no longer with the company, and makes key management a simpler process. Your business/office is protected on a 24 hour basis. The premises are monitored by FMC’s ULC listed Five Diamond Certified monitoring station and in the event of any intrusion you will be notified and the police can also be dispatched. Please see our posts on Enhanced Call Verification for more information. Insurance is an important and a necessary cost to your company’s operation. Many insurance companies require businesses to have security systems in place. The absence of such a system could raise your premiums or make it difficult to find adequate coverage which could hurt your business in the event that you need to file a claim. A successful burglary or theft can delay the operations of your business for days, weeks, or even months. This has implications not only for your business but also for your employees who may not be able to work while you recover from the situation. By preventing any major loss, you will be mitigating any company downtime which could lead to employee dissatisfaction and loss of revenues. This also ties into employee safety. With your assets secured with FMC’s services, you can enjoy peace of mind. The demands of running a business are tough enough, and you will have one less thing to worry about.